The first Ghost Recon in the series to take on an open world gameplay. Ghost Recon Wildlands will be launching March 7th 2017 and will be available on PC, PlayStation and Xbox. Taking on the open world genre has created a new depth of gameplay for Ghost Recon. You will now be able to explore areas and complete missions in your own time and order. The gameplay now allows player freedom and with the online multi-player option, tackling parts of the game online with friends is a wonderful new feature this game offers. Freedom of choice is huge in Ghost Recon, with your choices impacting the game and the entire world around you. 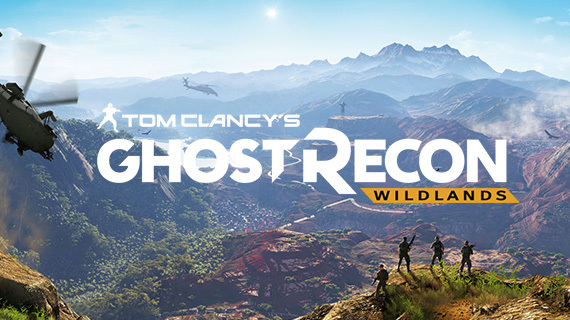 The way in which you play the game will create ripple effects across the Ghost Recon Wildlands story. Each mission will adapt and change from previous events and will constantly react to your game choices. Explore Bolivia and find out how Ubisoft’s inspiration from this beautiful country formed Ghost Recon Wildlands. A huge part of the Ghost Recon world is to be able to make it your own, which can be applied to both the gameplay and customising your hero. When Ubisoft started to create the Ghost Recon Wildlands map, authenticity was at the core of what they wanted to achieve. The game is set in Bolivia in South America, which offers a desolate and raw setting that extends to all areas of the game.